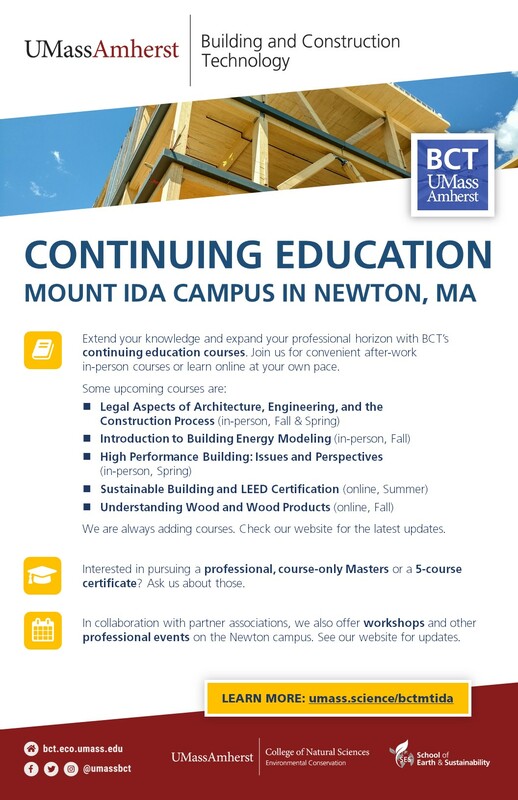 BCT is again offering continuing education courses and professional-focused events at UMass Amherst’s new Mount Ida Campus in Newton, MA. Extend your knowledge and expand your professional horizon with BCT’s continuing education courses. Join us for convenient after-work in-person courses or learn online at your own pace. We are still in the process of adding courses. Check our website for the latest updates. Interested in pursuing a professional, course-only, one-year Masters or a 5-course certificate? Ask us about those.